Noel C. Taylor became the first African American mayor of Roanoke, Virginia. He held office from 1976 to 1992, and was the city’s longest serving mayor. Taylor was widely considered one of the most influential leaders in the city’s history. A Republican, he was elected mayor in 1976 after having been appointed to complete the term of Roy L. Webber after his death in 1975. Prior to his appointment as mayor, Rev. 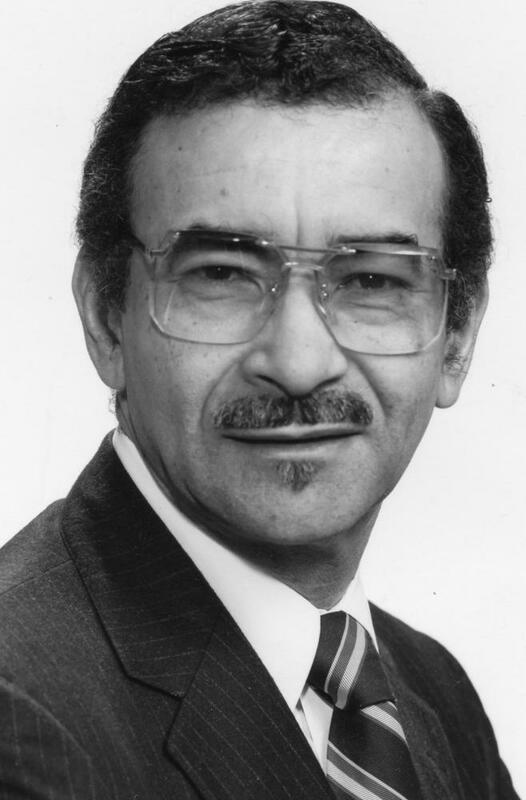 Taylor served as Roanoke’s first African American city council member from 1970 to 1975. During his lengthy tenure as mayor, the city saw many changes including the revitalization of the downtown city market area and the opening of Valley View Mall. Taylor, born on July 15, 1924, was the youngest of five children of Noel and Hettie Lee (Murphy) Taylor. His parents were farmers. He was raised in Moneta, Bedford County, Virginia. Taylor joined the then racially segregated U.S. Army in in World War II, serving from 1943 to 1945. He then attended Bluefield State College, graduating with honors and a Bachelor of Science degree. He obtained a second bachelor’s degree from Virginia Seminary and College in 1955 and a Doctor of Divinity degree from the same college in 1959. In 1963 he received a Master of Arts in Religious Education at New York University. Rev. Taylor married Barbara Jean Smith on July 16, 1955. The couple had two daughters, Sabrina and Desiree. Noel Taylor’s professional career began in 1949 as a teacher in the Bedford County Public School system. He was an elementary school principal from 1950 to 1952. During his distinguished career, Rev. Taylor also pastored three churches. His first, in 1954 was First Baptist Church in Clifton Forge, Virginia. From 1958 to 1961 he pastored the First Baptist Church in Norfolk, Virginia. Lastly, he accepted the position of pastor at High Street Baptist Church, Roanoke, Virginia in 1961 and remained its pastor until his death in 1998. A civic leader, he was a member of the National Association for the Advancement of Colored People (NAACP), the Roanoke Ministers Conference, the National League of Cities, the National Conference of Black Mayors, the United States Conference of Mayors, the Baptist Ministers Conference (Roanoke), and the Lott Carey Baptist Foreign Missions Convention. He was also moderator of Valley Baptist Association, president of the Virginia Baptist State Convention, a member of the Kiwanis, and a 33rd degree Mason. Perhaps Rev. Taylor’s most lasting impact came during the Civil Rights movement. Taylor worked to desegregate Roanoke. He was also a key figure in the struggle to integrate the city’s transit service, lunch counters, and public schools. Rev. Noel Taylor died in Roanoke, Virginia on October 29, 1998. He was 74. Roanoke’s city hall, the Noel C. Taylor Municipal Building, and the Noel C. Taylor Learning Academy, a combined middle school and high school, were each named in his honor. J. Johnson, “Remembering Virginia Civil Rights Leader Rev. Noel C. Taylor,” Bearing Drift, Virginia’s Conservative Voice, January 16, 2012, https://bearingdrift.com/2012/01/16/remembering-virginia-civil-rights-leader-rev-noel-c-taylor/; “Photo Record of Charles Freeman and Noel C. Taylor,” History Museum of Western Virginia (n.d.) http://hswv.pastperfectonline.com/photo/2987ADF0-892D-47E2-B24F-343862860839; "United States Census, 1930," database with images, FamilySearch https://familysearch.org/ark:/61903/1:1:C8KL-T6Z (login required); Noel A Taylor, Staunton, Bedford, Virginia, United States; citing enumeration district (ED) ED 18, sheet 9B, line 59, family 175, NARA microfilm publication T626 (Washington D.C.: National Archives and Records Administration, 2002), roll 2436; FHL microfilm 2,342,170. J. Johnson, “Remembering Virginia Civil Rights Leader Rev. Noel C. Taylor,” Bearing Drift, Virginia’s Conservative Voice, January 16, 2012, https://bearingdrift.com/2012/01/16/remembering-virginia-civil-rights-leader-rev-noel-c-taylor/; “Photo Record of Charles Freeman and Noel C. Taylor,” History Museum of Western Virginia (n.d.) http://hswv.pastperfectonline.com/photo/2987ADF0-892D-47E2-B24F-343862860839; “United States Census, 1930,” database with images, FamilySearch https://familysearch.org/ark:/61903/1:1:C8KL-T6Z (login required); Noel A Taylor, Staunton, Bedford, Virginia, United States; citing enumeration district (ED) ED 18, sheet 9B, line 59, family 175, NARA microfilm publication T626 (Washington D.C.: National Archives and Records Administration, 2002), roll 2436; FHL microfilm 2,342,170.